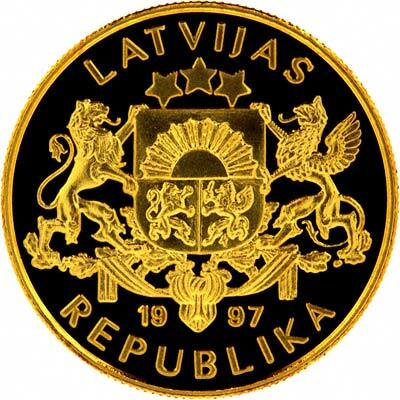 Latvia first issued gold coins in 1993. Although their currency unit is the Lat (LVL), Krause states that 100 Santimu = 1 Lats, having added an "S". 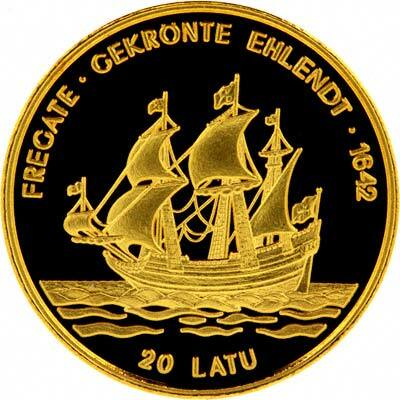 Also on the coins themselves, the denomination is shown on the 10, 20, and 100 units as "Latu", whereas on the 5 unit coin it is shown as "Lati". There appears to be some confusion about both the singular and plural forms of the name of the currency. For silver and base metal coins of Latvia, please look at our original Chard Coins website.